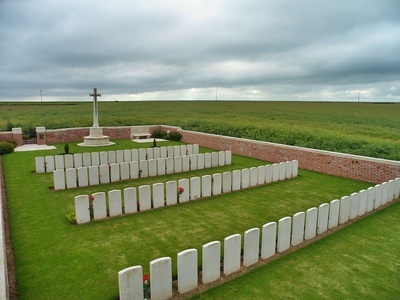 Épinoy is a small village on the N43 road between Cambrai and Douai, some 8 kilometres north-west of Cambrai itself. 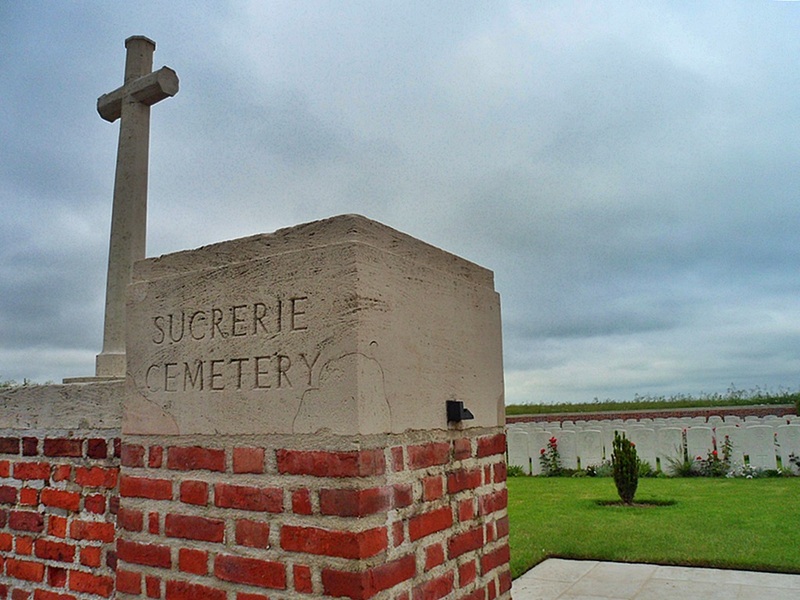 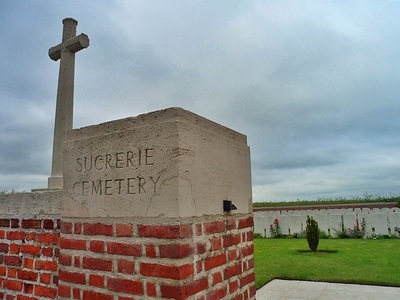 Sucrerie Cemetery is located 1 kilometre further north along the N43 from Epinoy. Épinoy was captured by the 11th (Northern) Division on 27 September 1918 and the cemetery was made by fighting units after the battle. 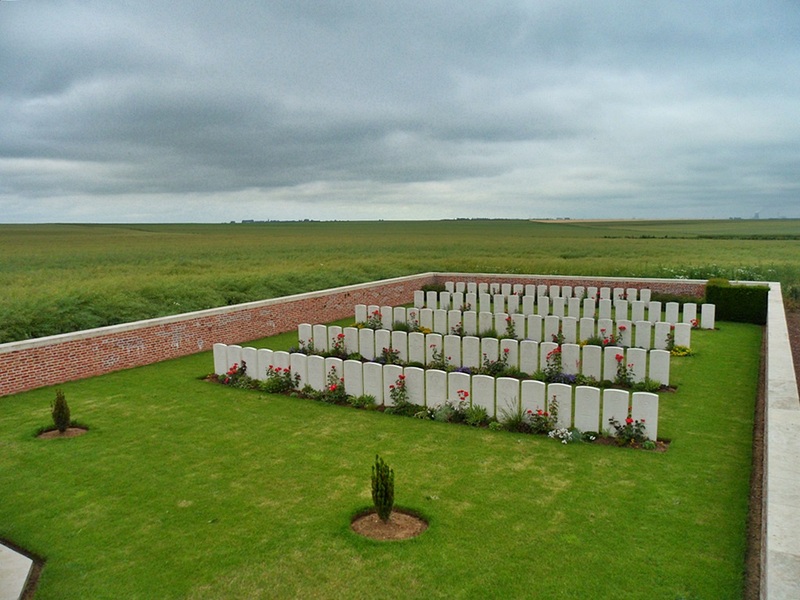 The cemetery contains 100 burials and commemorations of the First World War (mainly 6th York and Lancasters, 5th Dorsets and 11th Manchesters). 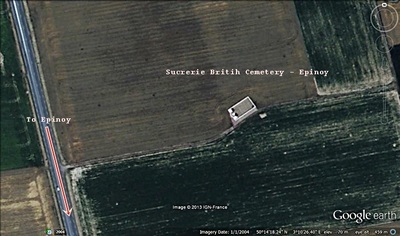 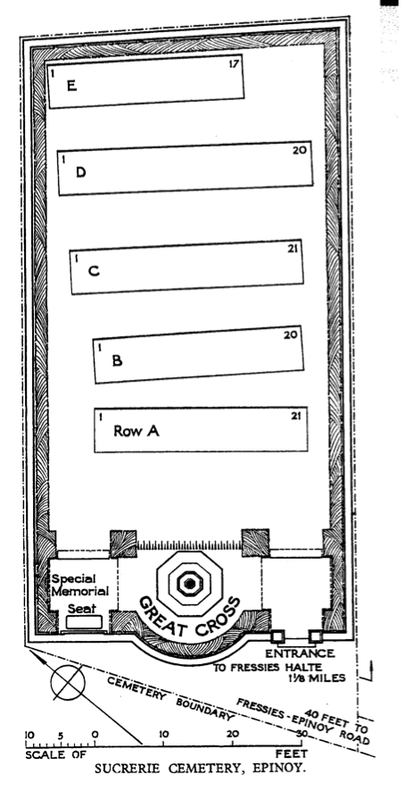 Five of the burials are unidentified but there is a special memorial to one soldier believed to be buried in one of them.